Pawn your Diamond Earrings! We offer Loans on Diamond Earrings! Are you looking for loans on diamond earrings in London area? We offer a professional and highly discreet pawnbroking service based on objective appraisals and assessments of the current market sale value of your jewellery. Our expert team have 25 years of experience in providing honest evaluations. When you come to us and say, ‘I want to pawn my diamond earrings at your award winning shop in London,” you can rest assured that your precious diamond hoops, studs and pendant earrings will be safe in our care. Plus, our service is wonderfully simple, and loans are quick to arrange. If you are hoping to release maximum capital in the shortest amount of time, you have come to the right place. We only need to look around us to see that diamond earrings come in a huge range of sizes and styles, from studs to elegant drops and eye-catching diamond hoops. Perhaps they are sleek and modern, or maybe they are antique and have dropped from the ears of princesses and queens. The diamonds themselves each come with a unique history and character. Sometimes they are mounted in gold, sometimes in platinum. Maybe they are sparkling round brilliant cut diamonds. Or, perhaps, they are European old cut diamonds with irregular facets or flaws. There are literally endless options to consider. That makes it impossible for us to give you a value for your diamond earrings without seeing them first. A pair of good quality but simple diamond stud earrings might have a market value of £300. Large, rare diamonds mounted in white gold might sell for many tens of thousands of pounds. In 2017, a pair of non-matching pink and blue pear-shaped diamond earrings named after twin deities Apollo and Artemis sold for a combined US$57.4 million at Sotheby’s in Geneva. They were sold separately but to the same buyer. The 14.54-carat blue diamond fetched over $42 million and the pink went for over US$15 million. New Bond Street Pawnbrokers are a long-established and highly trusted dealer situated at the heart of one of London’s most prestigious and expensive streets, also home to luxury auction houses and retail shops, including Tiffany’s. We know that sometimes our clients need to raise money from their jewellery by arranging loans on diamond earrings. We also know that jewels carry their own emotional story. 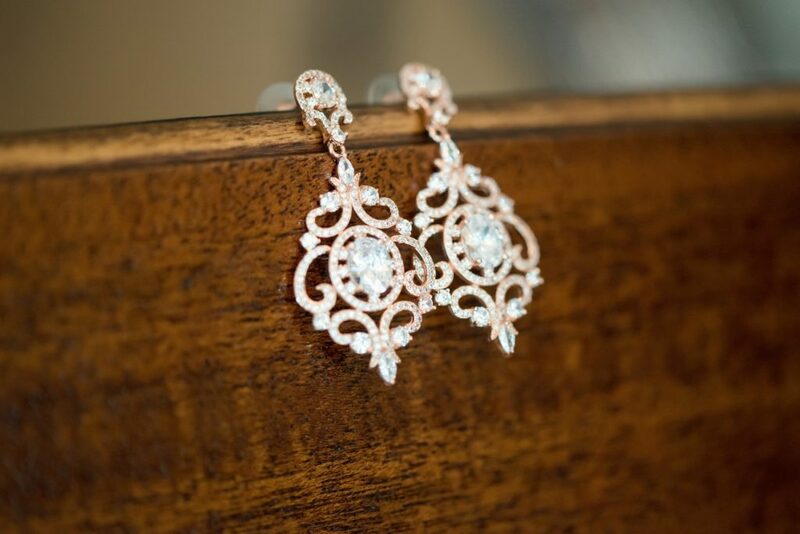 Diamond earrings may have been a gift from a loved one or form part of a treasured family inheritance. We understand that individuals do not always want to sell their gemstones, which makes our loans on diamond earrings service ideal for these situations. You can rest assured they will be safe with us. When a client comes to us and says, “it is time to pawn my diamond earrings,” we are always happy to help. So why not talk to us about your unique diamond earrings or jewellery collection today. It is quick and easy to get in touch and arrange an appointment to visit our pawn shop at the heart of London’s New Bond Street. For more information on services provided by New Bond Street Pawnbrokers please watch our video here and read about the loan process here.